Landscape oil painting Ocean View II is being offered in a 99 cent auction with free shipping! Great chance to get an original oil painting as a gift or for yourself. Painted in an impressionism style with visible brushstrokes. 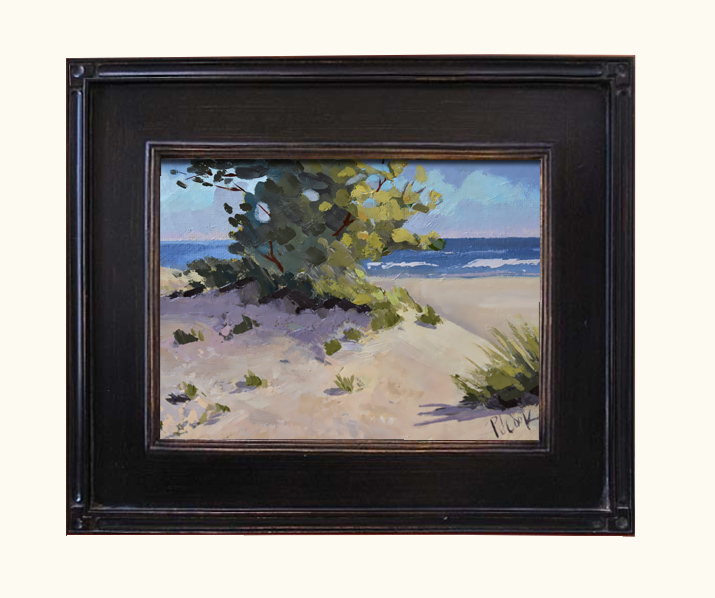 This original oil has great texture throughout the sand dunes, tree and grasses. Follow link below for more information about this painting and the free shipping offer! Auction ends Monday night. 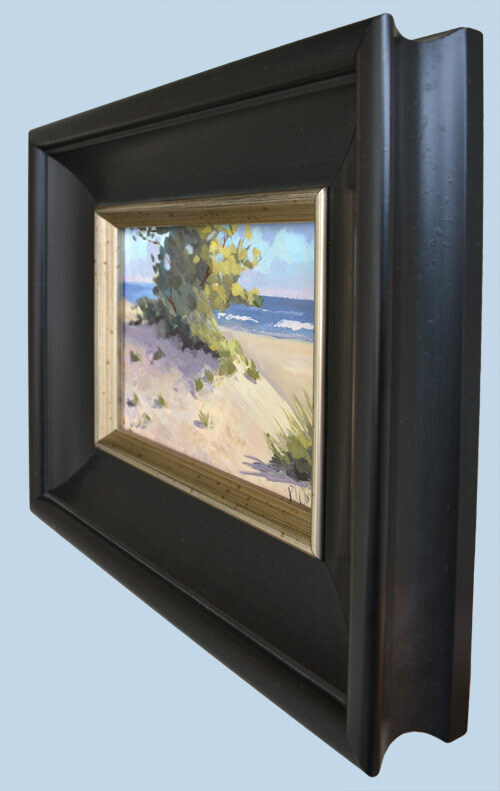 This ocean view landscape will fit in a ready-made frame. Great gift idea.